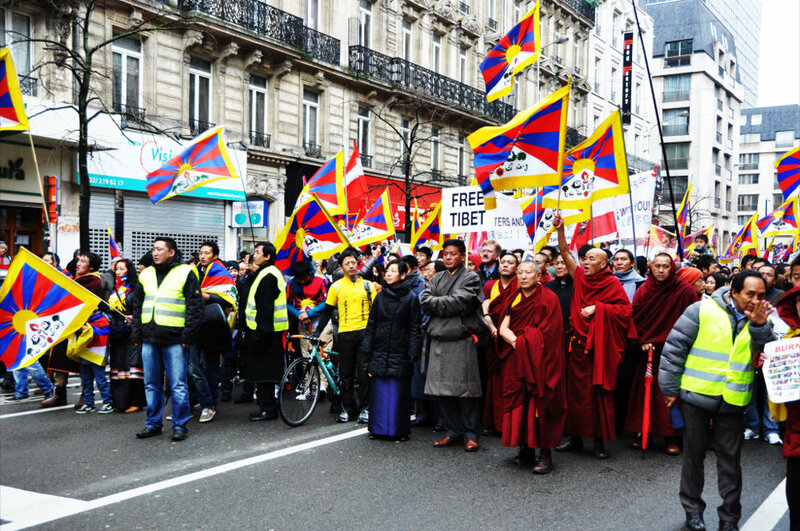 (TibetanReview.net, Jan31, 2015) – The Tibetan communities in Europe have on Jan 29 launched a website in preparation for a Mar 14, 2015 rally in France to garner support for the Tibetan issue on this 56th year since the Tibetan national uprising against Chinese occupation took place in Lhasa. The rally will see the presentation to the European public of a declaration called “Europe stands with Tibet – On the Freedom Struggle of the Tibetan People”, with the venue being the Eiffel Tower, Paris. The event will see the “Paris Declaration” being opened for signature by those who would commit to extend their support for the Tibetan people and the Dalai Lama’s non-violent efforts towards solving the Tibetan issue. European public figures will lead by signing the declaration first. Copies of the text of the declaration will be later circulated throughout Europe and among European politicians and public figures for their support. The head of the exile Tibetan administration at Dharamshala, Sikyong Lobsang Sangay, will address the rally, while the other speakers will be announced in the beginning of Mar 2015. Support for the “Paris Declaration” will also be sought from EU institutions as well as the national governments in Europe within the framework of a Tibet Lobby Day, said the organizers in a statement Jan 29. A public presentation of the declaration with the signatures will be made on the Dalai Lama’s 80th birthday on Jul 6, 2015. Swiss-based Mr Wangpo Tethong, the two members from Europe of the Tibetan Parliament in Exile at Dharamslala, India, are leading the campaign while France-based Mr Thupten Gyatso is the coordinator.